For discussion at the 2017 Summer Conference First Business Meeting. We are soliciting proposed changes to the ACR bylaws. The most recent version (as approved in July 2015) has been posted to the website. 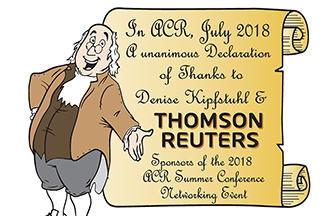 Let us know what revisions you think would be helpful to keep the bylaws current for today’s dynamic ACR membership.